The aim of this course is to revise the core topics for the four main Biology specifications. As far as possible, the sessions will be tailored to the needs of the students. 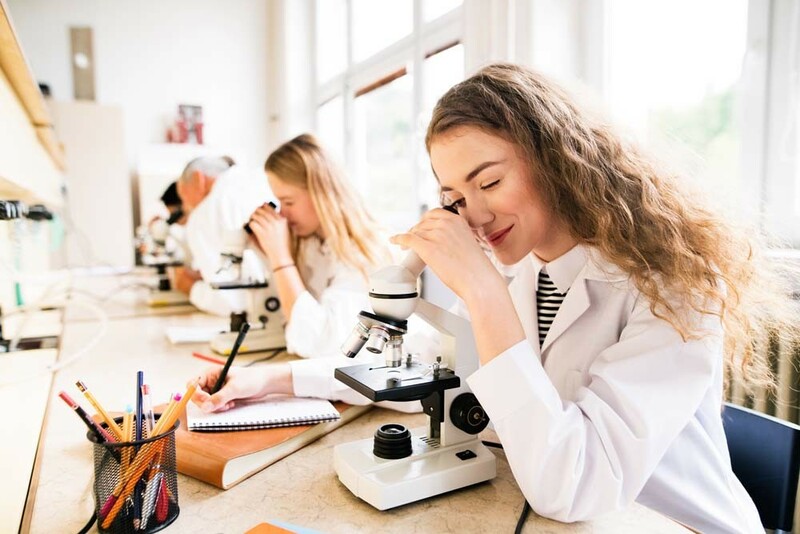 This revision course is designed for students who are preparing for A-level examinations in summer 2019 at the end of the two-year Biology course. Inorganic Ions: The role of inorganic ions. Water: its polarity, ability to form hydrogen bonds, surface tension, as solvent properties. Carbohydrates, Lipids, Proteins: structure and function of these biological molecules. Cells: Eukaryote and Prokaryote cell structure. DNA and RNA: Structure and replication. Cell membrane structure and transport: Fluid mosaic model, water potential, active transport etc. Enzymes: The induced fit theory. The effect of temperature, pH, inhibitors etc. Practical Biology experiments, maths and drawing: Identification of independent, dependent and controlled variables. The calculation of rate, standard deviation, chi square test etc. Drawing techniques. *students might find it useful to bring their practical work for help on revision in this area. Cell division: Mitosis, meiosis, crossing over, independent assortment. Gas Exchange: Surface area to volume ratio, exchange in fish, insects and mammals. Haemoglobin: the oxygen dissociation curve and the Bohr shift. Transpiration and Translocation: Xylem and phloem, Cohesion/tension theory, the potometer. Circulation: closed and open, blood vessels. Taxonomy: Five kingdoms, three divisions. Digestion: Role of enzymes, absorption, ruminants. Photosynthesis: The light stage, light independent stage, limiting factors on photosynthesis. Respiration: Glycolysis, the Link reaction, Krebs cycle and Oxidative phosphorylation. DNA: protein synthesis, mutations, introns and exons etc. Evolution: selection, speciation, Hardy-Weinberg equilibrium. Gene technology: Gel electrophoresis, PCR, genetic engineering. Ecology: Ecological sampling, succession, populations. Practical Biology experiments, maths and drawing: Identification of independent, dependent and controlled variables. The calculation of rate, standard deviation, chi square test, T Test, Spearman’s rank correlation etc. Drawing techniques. *students would find it useful to bring their practical work for help on revision in this area. Energy and Ecosystems: Gross and net primary productivity. Microorganisms: Logarithmic scales and serial dilution. Heart: The structure of the heart and the cardiac cycle. Neurones and the nervous system: Neurones, action potential, the synapse, reflex arcs. The Kidney: The nephron, ultrafiltration, ADH. Menstrual cycle: FSH, Oestrogen, LH and Progesterone. The Immune System: Antigens, Antibodies, the primary and secondary response. Students might find it useful to bring homework questions they found difficult.